Paul Stevenson Host's Inside the Eye – Live! – 5.20.17 | Inside the Eye - Live! 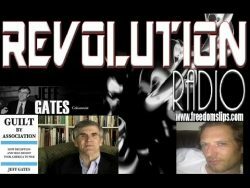 On a day that saw President Donald Trump land in Riyadh, Paul Stevenson, host of the show Revelation which airs/streams every Monday from 2:00-4:00 p.m. on Revolution Radio’s Studio A, hosted Inside the Eye – Live! The Fetch reciprocated by guest hosting Revelation on Monday, May 22, 2017 in what was the final broadcast from Saudi Arabia for the first half of 2017.